My entry for the NGA-House Mini Challenge at the Ronen Bekerman forum. 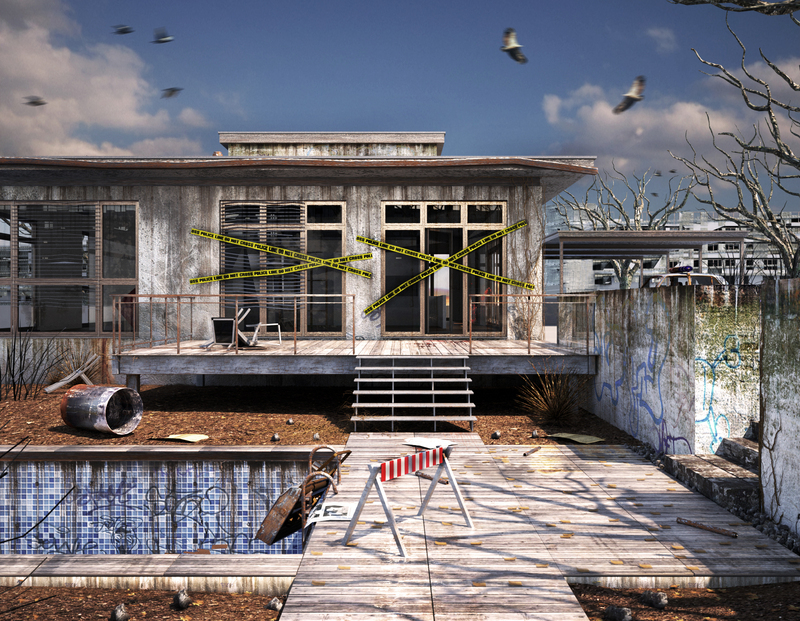 In this mini challenge it was been asked to submit 3d exterior visuals of the NGA House using the 3d model provided. The criteria was not to change the house model. It was possible to add details and the environment. I decided to make a post-apocalyptial crime scene. All textures were made in PS. The rendering was done with the Maxwel Rendering engine. Full sized pictures in the portfolio.